Dimensions: 10" x 5 1/2" x 10"
Encourage your guests to write down their wedding wishes and advice and drop them into this handsome key card box, which features a metal latch and a unique key-shaped opening on the top. 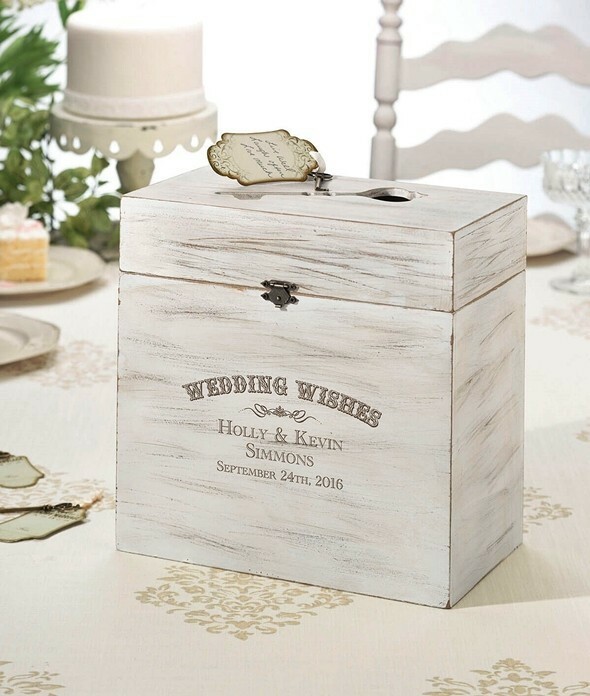 This box will become a cherished souvenir of your special day for years to come. PLEASE NOTE: Pictured well wishes key tags for guest signing are not included but are available separately as Product Codes: LR-GA505B-A and LR-GA505S.